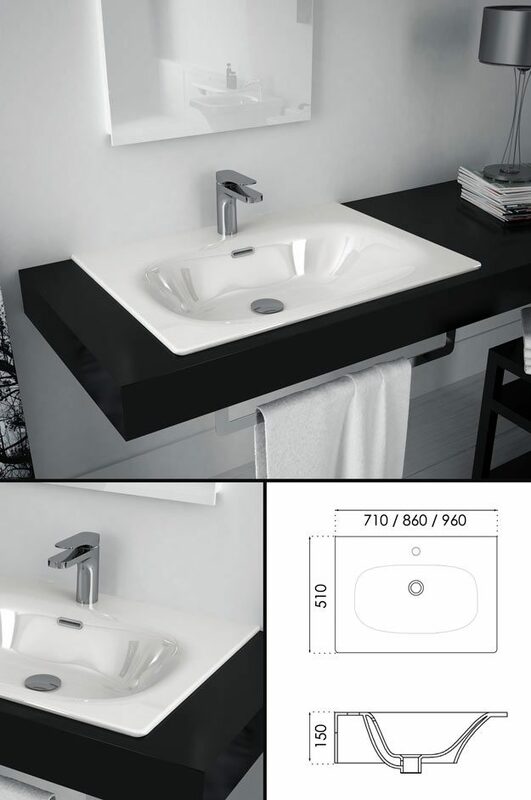 The Tulip inset wash basin is designed to be counter sunk into a bathroom worktop. One of the latest designs from Italy designs this contemporary basin is proving very popular in high quality bathroom design. * Attractive slim edge profile. * 3 x wash basin sizes. * Black & white finish to order.